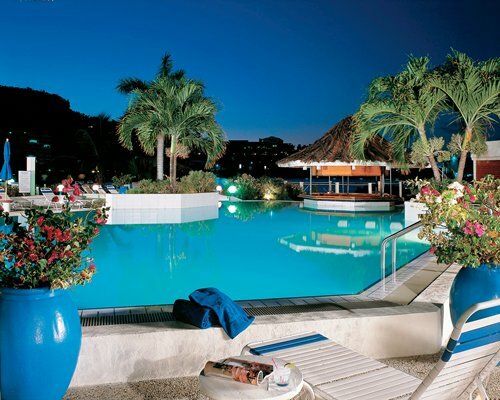 Poised on a pretty bay with the powdery sand beach just steps away, Royal Palm Beach Resort is located on the island's Dutch side, known as Sint Maarten. The resort affords easy access to an array of watersports and fishing or guests can opt for a dip in the dramatic oceanfront pool or a work-out in the fully equipped health club. Casual lunches at the poolside snack bar and evening sunsets and live steel band serenades are highlights. A gift shop and grocery make onsite shopping easy. An activities department and 24 hour security team add to the friendly, service-oriented experience. Royal Palm Beach Resort features spacious one-, two- and three-bedroom villas, all with expansive views of crystal-clear waters through floor-to-ceiling sliding glass doors. 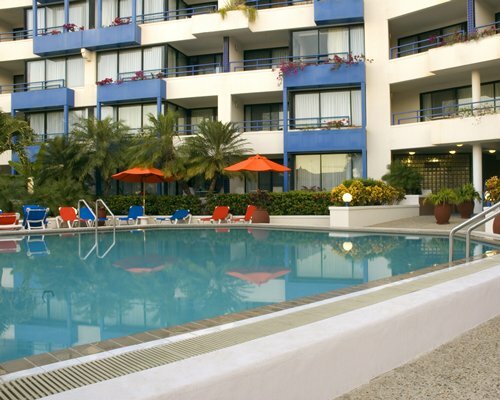 Accommodating up to eight guests, these comfortably furnished, air-conditioned units are ideal for families. 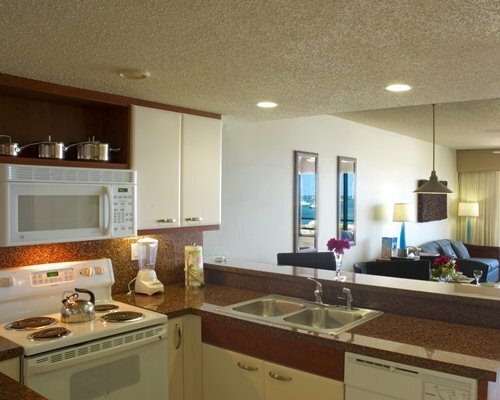 Full kitchens with microwave ovens and coffee makers make it easy for guests to enjoy breakfast on their balcony or terrace. 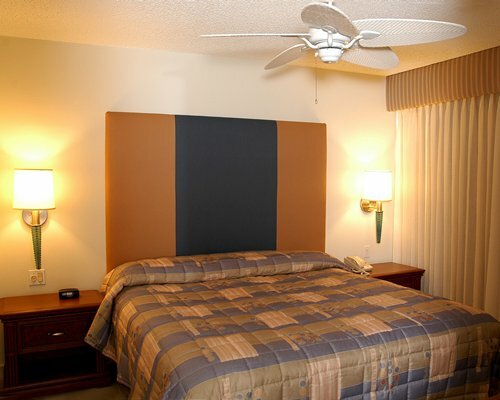 All units have telephones with voice mail and televisions. 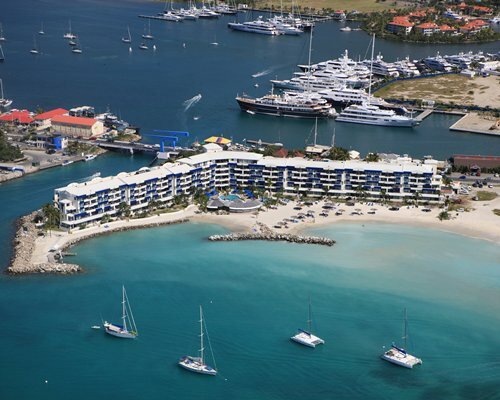 One of the smallest land masses shared by two countries, Saint Martin is split between French Guadeloupe and the Dutch Netherlands Antilles, also known as Sint Maarten. Visitors to this charming destination enjoy top-notch casinos, great dining, and excellent duty-free shopping (with discounts of up to 40%). 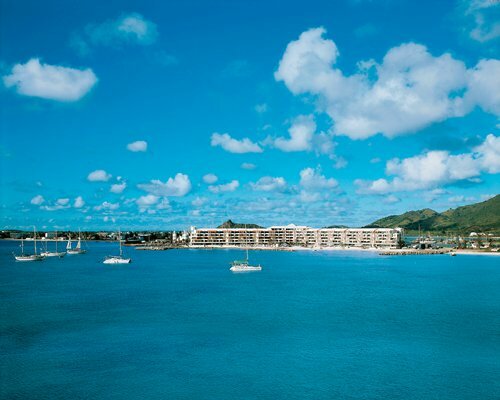 Travel between the two sides of the island is easy, and attractions on both sides abound. Outings include the Butterfly Farm and Pic du Paradis, the island's highest point at 427 feet. To see jumbo jets land within feet of the sand, visit famed Maho Bay Beach. Princess Juliana International Airport is approximately three miles away. Exit the airport right and follow the main road around to the resort on the right, just after the bridge. Guests are advised to take a taxi to the resort. The resort can arrange car rental on site. Mandatory Departure tax is 30.00 U.S. dollars. Cash or Credit is accepted. Resort amenities fee is 10.00 U.S. dollars. Cash or Credit is accepted.